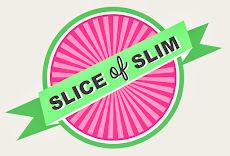 Slice Of Slim: Hot Off The Press NEWS : First Slice-of-Slim Feature! Hot Off The Press NEWS : First Slice-of-Slim Feature! It's here!!! The December/January edition of Weight Watchers (UK) Magazine! Pages 83 and 84 (YES! 2 pages!!!) contain my debut Slice-of-Slim feature, launching my career as a food writer for this fabulous, inspirational magazine! It's all a bit surreal considering a year ago, my blog didn't even exist! Thank you to all you lovely Slice-of-Slim followers who have been there since those very first photos on Facebook, where I described my lunch and shared the Propoints and calories. You made me realise I had something to offer, and I'm loving every moment of this journey. Thanks to Weight Watchers for helping me achieve my original weight loss goal...and to Weight Watchers Magazine and all at River Publishing for believing in me and giving me this fantastic opportunity! The magazine is currently available in meetings and, from this week, in the shops. Hope you enjoy making my Snowmen and Snow-Capped Strawberries featured in the magazine- not to mention all the other little gifts and treats in the feature! Congratulations Janey that is just fantastic you must work so hard for such an achievement. I would love to share on Baking Hot Christmas. Congratulations. The feature looks really good. Personally, I'm especially glad to see your alternative ideas to Christmas cake. That's a real accolade fully deserved for your consistency, inventiveness and enthusiasm. Long may you continue to write and inspire us all.